Whatever your style, from one, two and three bedroom cabins and villas, as well as ensuite, powered and unpowered sites, there's something for everyone. And if it’s a room with a view that you're after, there are villas overlooking the resort pools and Biggera Creek. Access friendly accommodation is also available. The resort offers a range of modern facilities including 4 resort style swimming pools, heated spas and tennis court. The little ones will love the giant jumping pillow, pirate themed mini golf, kids' activities and outdoor cinema. And, the onsite Galleons Bistro is perfect for breakfast, lunch or dinner. Whether you're after a relaxing family break or an action packed adventure holiday, NRMA Treasure Island Holiday Resort is the perfect place. 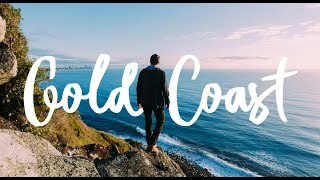 The golden sandy beaches of the Gold Coast and major theme parks are all just a short drive away - and the park is just a short walk to fantastic outlet shopping at Harbourtown. Powered Ensuite Site with private shower, vanity and toilet. Positioned by Biggera Creek and close to the Riverside Pool and barbecue. Each site also features astro turf for your annexe and driveway. Please contact the property if your vehicle or tent exceeds 17ft x 15ft and specify in the 'notes' section the size of your caravan, motorhome etc. at the time of confirming the booking. It is very important that you book the correct size site. Please contact the property if you do not feel that your Van/Motorhome and vehicle will fit within this space. Ideally located close to facilities and just a short stroll from amenities. Please note: strictly tents only, maximum of 7 x 5 meters. If a larger space required, please call park directly. Please specify in the 'notes' section the dimensions of your tent at the time of confirming the booking. It is very important that you book the correct size site for your tent. Please contact the property if you do not feel that your tent and vehicle will fit within this space.